Master wine producers from father to son and present in Champagne since 1670. Made exclusively from Pinot Noir grapes, this Champagne is full-bodied and powerful with exquisite fruit aromas. 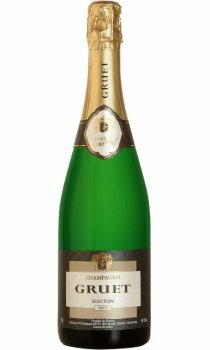 This is my favourite of all the champagnes I\\\'ve tried, I first tasted it in Dallas 2007 and craved it ever since. The taste is very crisp and clean, it has great after tones and I prefer to drink it without a meal, I\'ve no doubt it would be great at a dinner party.